4x4troy wrote: nope they are welded on...but if any metal is left i will make a tool out of it. you need a machete, I've got a few from my time in Panama. Save that metal for fabricating we'll use it for something. ok...will do. it looks like there won't be much left. but it could still make brackets or braces ...so it will live to serve another purpose. That humm, i mean truc, uh, hell it's really coming together nice. 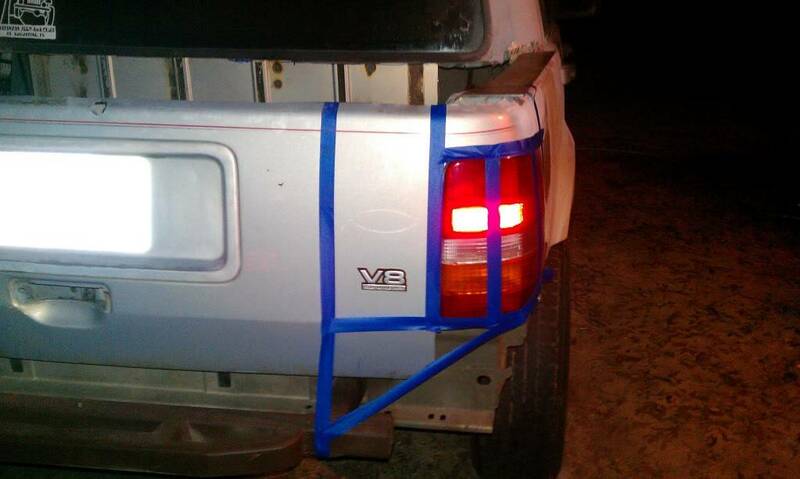 yea the paint job will want you to keep it on the road. NOT i've got a air grinder somewhere in my garage if it'll help. thats what i had...last 2 months and burnt up. wont buy another one. going to buy a better one as soon as i can. 2 months for 15. Thats not too bad. I have had a chicago one from there for a few years now. I use it all the time. Only problem I had was the brushes. Flipped them over and its still going. I have new brushes ready when these crap out. Uhhh, I dunno. Doesn't make sense to me. For what? caging the back. 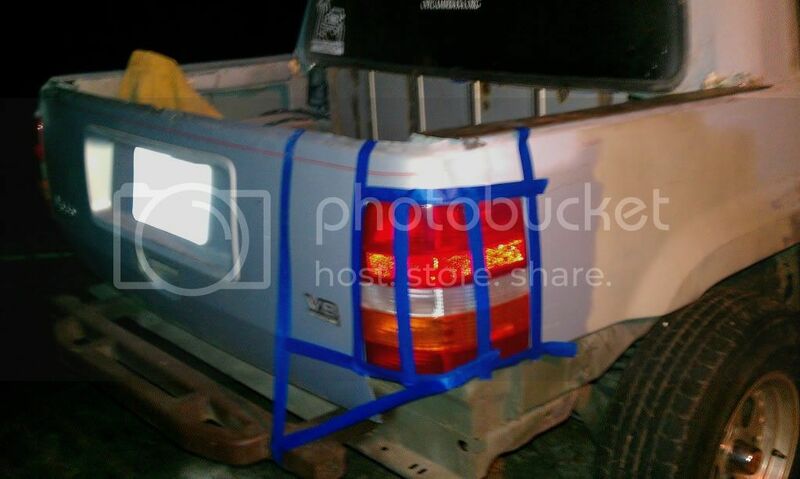 taillight protection. 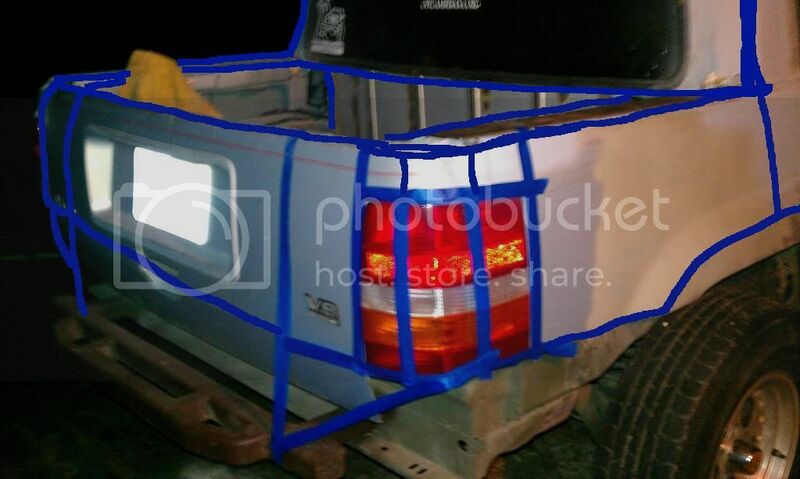 all tubing will be about 1.5-2" off the body and will help tie in everything. 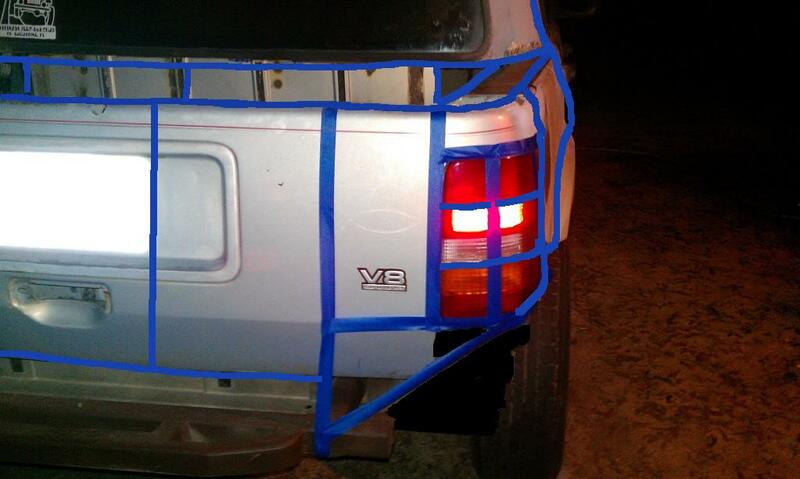 Don't really love it but ok. Make sure u can remove it b/c u will be caging in ur tail light. May need to remove for something one day. Trying to use up all the power of that V8 hauling steel around? I have faith your a better driver than that. i actually found two of those 90* air grinders my uncle gave me. I'll bring one tomorrow at the publix meet. closing the cab off way better. capping the top side rails with the 2x2 and tieing it all together. 4x4troy wrote: closing the cab off way better. capping the top side rails with the 2x2 and tieing it all together. Putting 2X2 on top? What for, to mount the hi-lift? All the way around?